The Consumer Electronics Show has sections for all sorts of technology. If you head to one part of the Las Vegas Convention Center, you'll get bombarded by very loud car stereos. Walk over to another spot, and you get a huge variety of cell phones. That said, you could say that everything on display has something to do with a digital lifestyle and in case you didn't notice, that's what we're about at FutureLooks. Here are a couple of companies that we strolled across at CES this year that are dedicated to promoting the digital lifestyle. It should really come as little surprise that the majority of CES attendees can be categorized as gadget geeks and computer nerds. They'll toss around acronyms and numbers that probably meaningless to the average Joe. D-Link doesn't want the average consumer to be left out in the cold, so they've designed a whole line of products that are meant to integrate the digital lifestyle into everyone's home. This line, appropriately enough, is called D-Life. 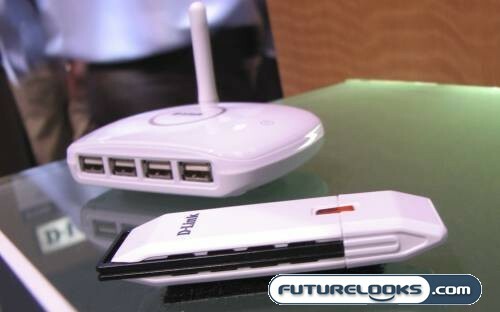 One of the first products I was shown was the DUB-9420 Wireless USB Starter Kit. It is comprised of the D-Link DUB-1210 USB dongle (which physically connects to your computer) and the DUB-2240 four-port USB hub. The two pieces communicate with one another over a wireless signal, offering speeds that are just as fast as standard USB 2.0. The range is said to be about thirty feet, but I imagine that is with zero interference and perfect line of sight. I imagine that this starter kit would be a great peripheral for desktop users who don't have ready access to USB ports on their computers. Digital frames are a wonderful and glorious thing. They also make perfect sense. When you consider traditional film photography, you had to make a physical print of the image if you wanted to share it with family and friends. You'd sometimes put these pictures inside a frame so that they can be showcased on the mantelpiece. Now that just about everyone has hopped over to digital cameras, why do we still feel so compelled to make physical prints? 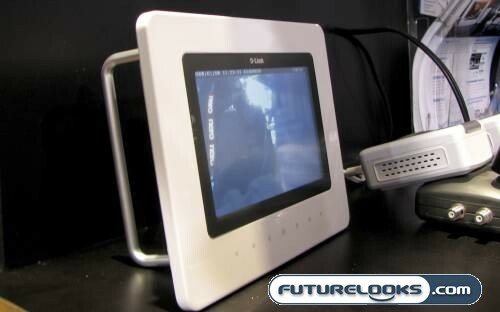 The D-Link Digital Picture Frame does other frames one better by including WiFi connectivity as well as touch-sensitive controls. When you log into the D-Life website, you can add the frame, making it possible to drag and drop photos into its on-board storage from anywhere in the world. Neat-o! Talk about convenient. 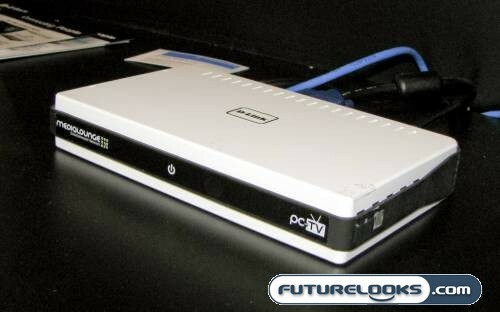 Perhaps the biggest D-Link announcement at CES 2008 was their new PC-on-TV player that is designed to bring PC content to the television. There are other devices on the market that help you show YouTube, Google Video, Revver, and other embedded videos on your regular television, but many of these depend on the codecs that are housed within. The key advantage with the D-Link version is that the codecs are those on your computer, because everything is being streamed from your computer instead of through a direct connection to the web. The PC-on-TV player can also handle whatever you've got in iTunes, WMP, RealPlayer, and so on. The current $199 version only does analog for now and will be released near the end of February or early March. An HDTV/digital version is planned for Q2. 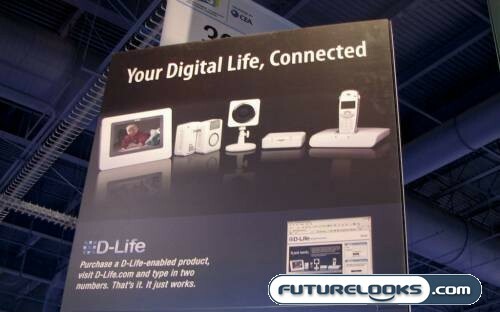 For more pictures from D-Link, check out our CES 2008 D-Link Photo Gallery. Now on to Genius!